Papyrus in Second Life | Papyrus Watch - Exposing the overuse of the Papyrus font. 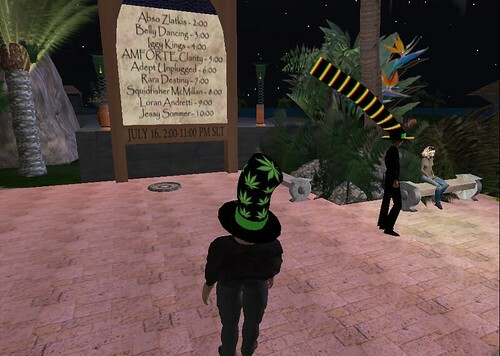 Here we have a Papyrus sighting in Second Life, among other hilarities. Looks like you can't escape this font anywhere, in any life. I find everything about this picture hilarious actually, and swear I saw that hat move more than once, and no this isn't an animated gif. Thanks a lot to Grant for sending this in.